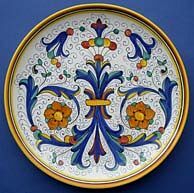 The classic Ricco Deruta Italian Ceramic pattern is named after and originates from the village of Deruta in the Umbria region in Italy. 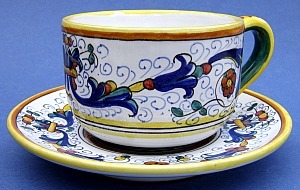 The term "Ricco" means rich. 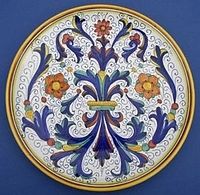 This pattern is a design that takes the details of sixteenth century frescoes and reinterprets them with classic Deruta colors and style. 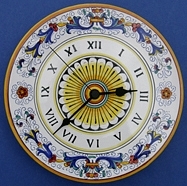 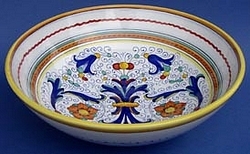 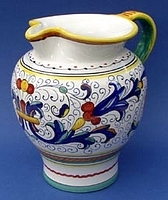 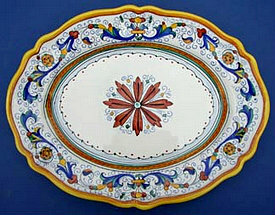 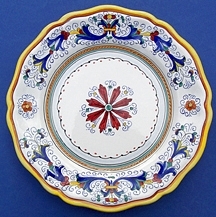 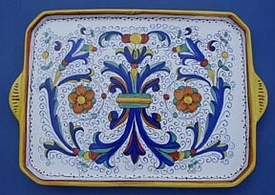 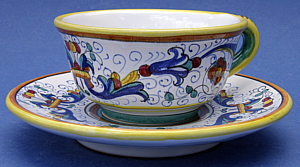 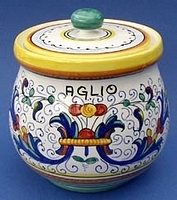 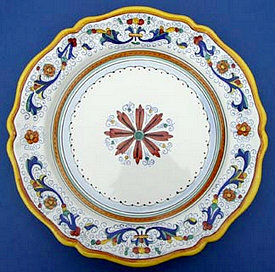 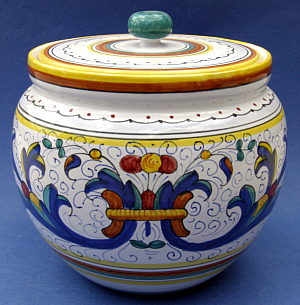 All our Ricco Deruta ceramics are hand painted and directly imported from Deruta, Italy by our company. 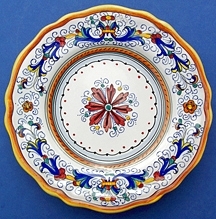 Shop & compare our beautiful artisan Ricco Deruta ceramics.